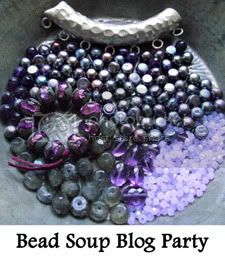 It's a thrill to participate in the September Bead Soup Blog Party with so many talented designers! There are over 360 attending this one! I'm just getting the bead soup ready to ship to my partner, Kitty @ Perles and Life, after getting to know her through her well written and beautiful blog. She loves the beach (we both do, but we're on opposite shores; she's on the left coast, I'm on the right coast, *lol). 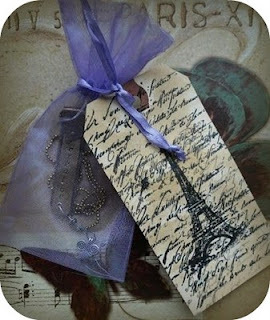 But most of all, she adores french things. Click her pic! Hmmm...now I just might have some fancy ideas! Stay tuned for more Bead Soup ~ I'll be posting a teaser this week ~ gonna be delicious!